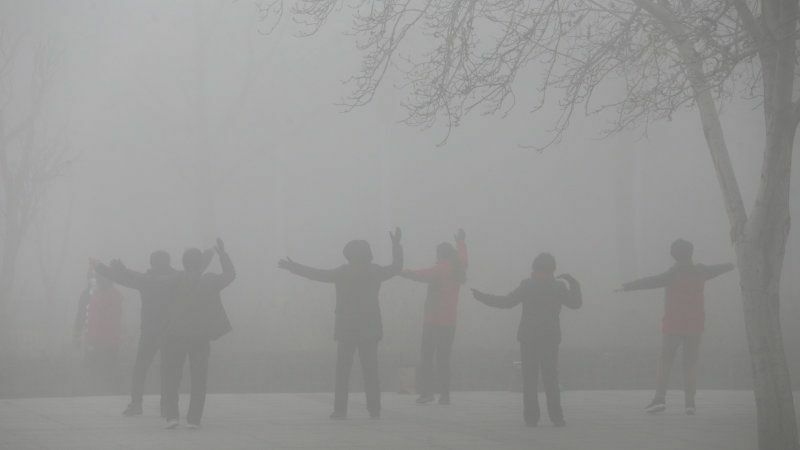 People exercise in the smog on a polluted day in Zhengzhou, Henan province, China January 9, 2017. REUTERS/Stringer ATTENTION EDITORS – THIS IMAGE WAS PROVIDED BY A THIRD PARTY. EDITORIAL USE ONLY. CHINA OUT. NO COMMERCIAL OR EDITORIAL SALES IN CHINA. In another push to reduce city’s harming emissions and its notorious smog ,China will effectively ban the local production of a total of 553 passenger car models starting from January 1. The announcement was made by the China Vehicle Technology Service Center, and affects vehicles that don’t meet the country’s fuel consumption and emissions requirements. The full list of banned cars is unknown,but it includes models from Mercedes-Benz, BMW, Chevrolet, Volkswagen, and many more. Vehicles with internal codes FV7145LCDBG (Audi), BJ7302ETAL2 (Mercedes) and SGM7161DAA2 (Chevrolet), all of which are sedans, are affected by the sanction. While 553 vehicles sounds like a lot, the secretary general of the China Passenger Car Association told the publication it’s actually a very small percentage of passenger cars that are produced in China. China is still finalizing its timetable to stop production and sales of internal combustion vehicles. The country’s government wants to switch entirely to what it calls new energy vehicles which includes hybrids, plug-in hybrids, electric Vehicles and fuel-cell models, and plans them to account for about 40 percent of all sales there by 2030. China has tackled its chronic pollution problem by limiting steel production, restricting coal usage, and its multi year plan to phase out vehicles powered by petrol and diesel. But this is its first official ban of a specific list of polluting vehicles.